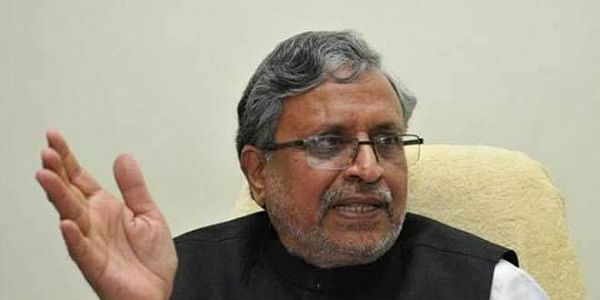 PATNA: Bihar Deputy Chief Minister Sushil Kumar Modi today said that the state government will not deposit its money in those banks which hesitate in giving loans to people. "In days to come, we will be reviewing as which banks have been hesitant in giving loans (to the beneficiaries). The government will neither deposit its money nor carry out any transaction with banks which have been hesitant in giving loans," the deputy chief minister, who also holds charge of the Finance and Commercial Taxes department said. Sushil Modi said that "we have asked banks to come out with an advertisement telling people that banks will accept coins as deposits of not more than Rs 1,000 value. I don't think that there is no any such blanket ban for not accepting coins as deposits." He said that banks have disbursed loans of Rs 46,816 crore in the first six months of the current fiscal which comes at 43 per cent of the target of the Annual Credit Plan (ACP).